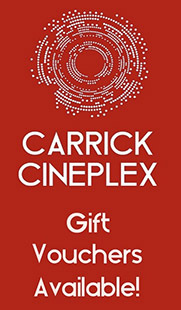 A Carrick Cineplex birthday party provides the most memorable experience. Kids enjoy reserved seating, a great movie and a party tray. Parents enjoy a stress free couple of hours as our friendly staff will greet, seat and serve the goodies. We recommend that parents or guardians book all events. To reserve your party today please phone 071 9672000 during box office hours.